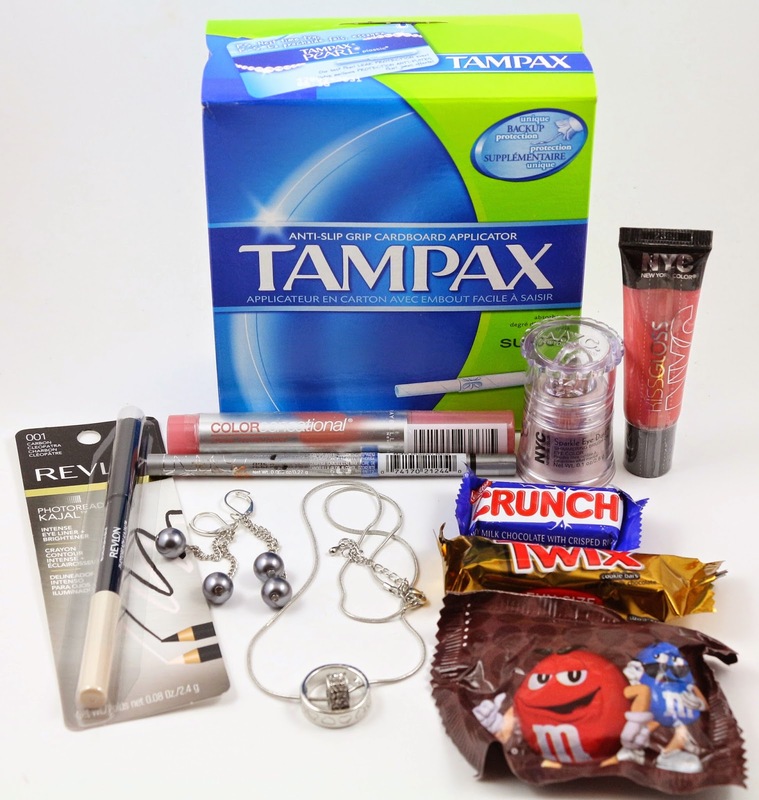 Swaagbox sends out time of the month boxes, called Tomboxes, that include your necessary time of the month supplies, makeup, and jewelry. You pick the tampon/pad brand and type, select your skin type and style type, and then you can also opt to double the makeup and jewelry each month or add on razor cartridges as well. Swaagbox kindly sent me this month's box for review. For this month's box, I received double the makeup and jewelry, and it also came with a few pieces of candy which was nice to see. I could use a piece of candy any time of month, so I promptly ate those! 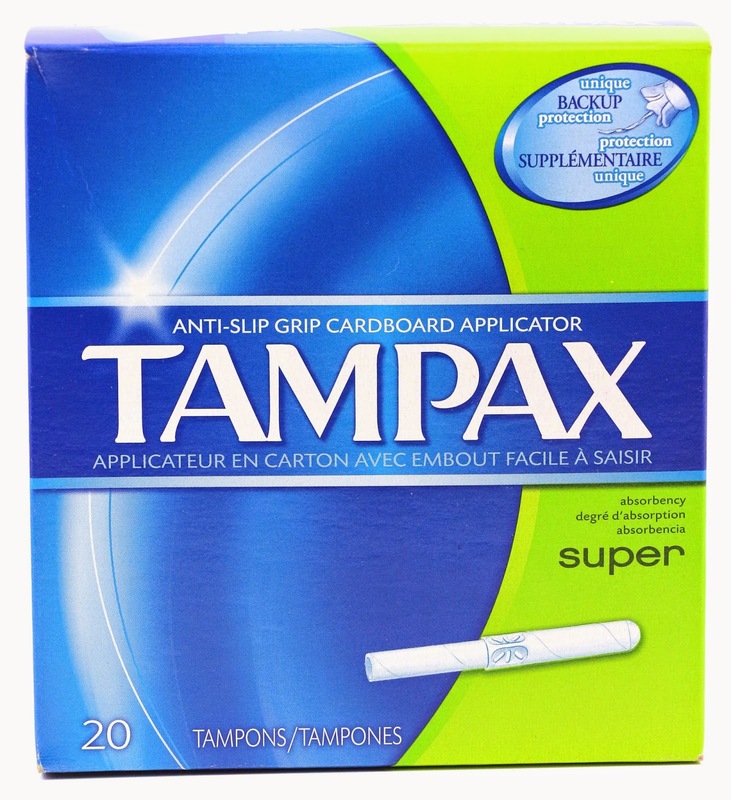 These are the tampons I chose for the box this month, it was very nice to see a whole box of 20 tampons in the size I chose. A lot of other time of the month boxes I've seen reviews for don't always include a whole box, so that was really convenient. This item is no longer found on the NYC site, so I am thinking it's probably discontinued. It appears they changed packaging for this product and it's now in a lip gloss like tube. It's an interesting concept, basically loose shadow in a jar with a built in applicator. This is a nice neutral shade, definitely something that is work appropriate, and would work on almost anyone. Another product from NYC, this time a lip gloss. It looks like a pretty peachy pink shade, perfect for any time of year. But again, this product appears to be discontinued, and is no longer sold by NYC. This product is a lip stain from Maybelline, that has an applicator like a marker. This product doesn't look to be in Maybelline's product line anymore either. 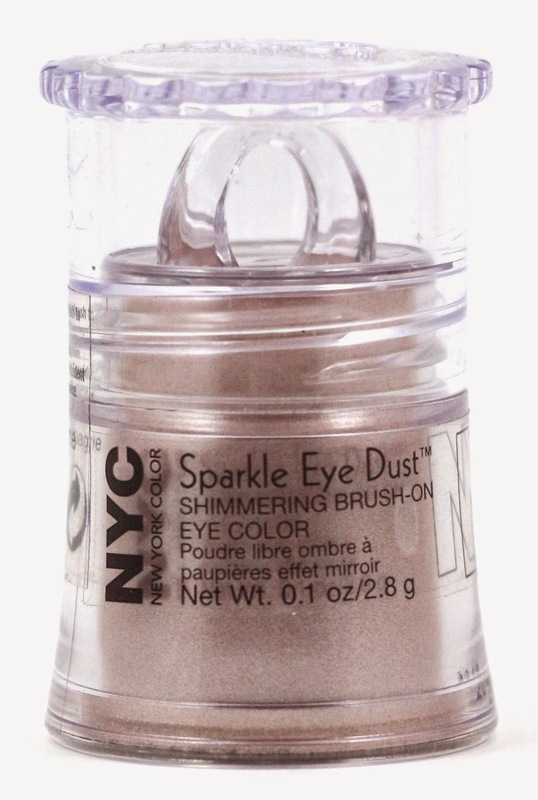 This is another NYC product that doesn't seem to be sold anymore, and is probably discontinued, leftover product. I'd pretty much rather I receive an eyeliner in any other color but black, so I am glad this is blue instead of black. This is a handy product, it's a double ended eyeliner, with black on one side, and white on the other. I actually don't have a white eyeliner, and I have been wanting one in a pencil, so this will come in handy. 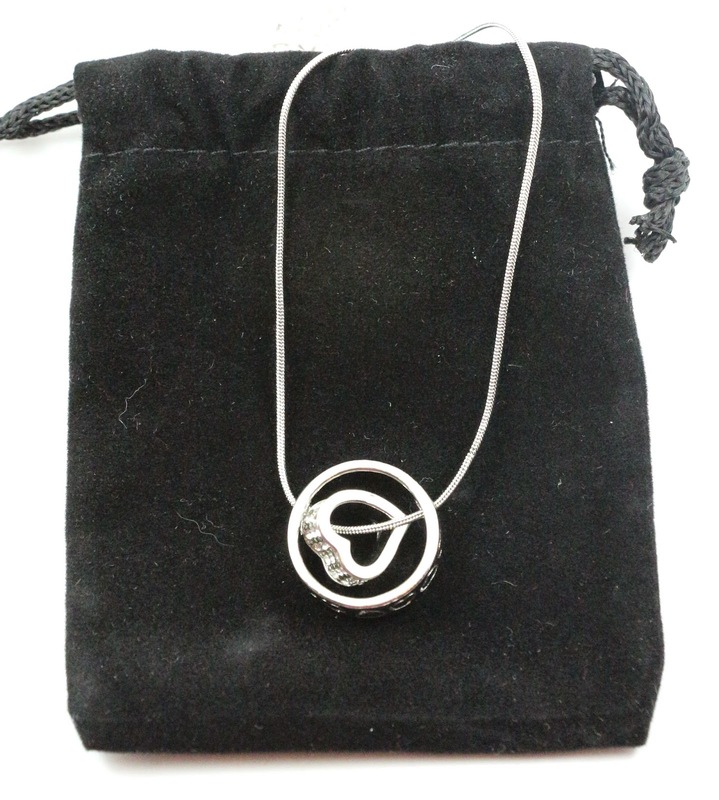 This necklace seems like fairly good quality, the chain itself isn't thin either, it has a nice weight to it. The ring band has hearts etched into the side, and the heart itself has some small gems in it. And I like silver jewelry better than gold, so it's definitely more my style. To be honest, these are really cheap looking earrings. 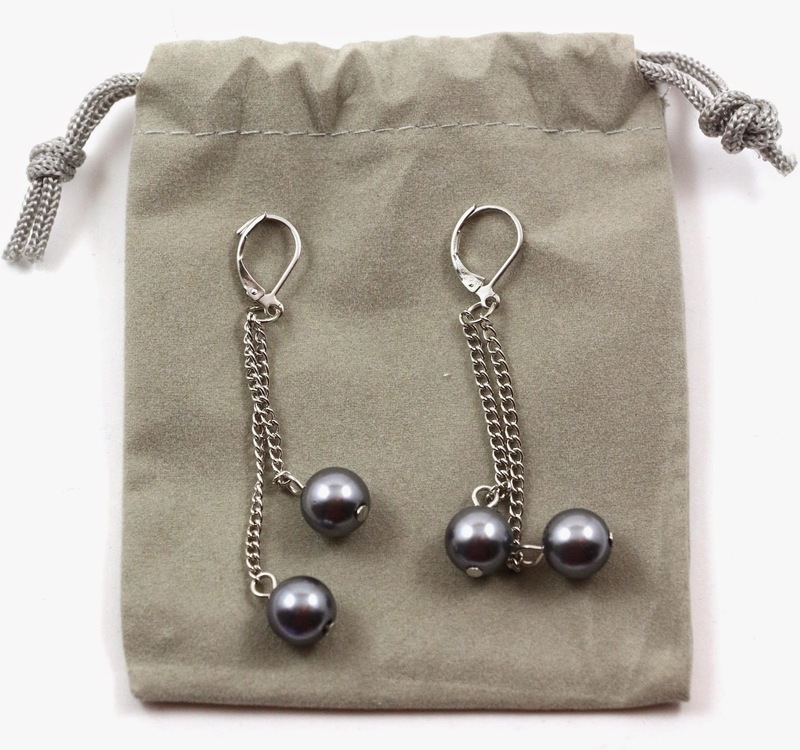 I hate the kinds of clasps they have, the chains don't look elegant enough to be paired with pearls, and I highly doubt these really have a $20 value. Overall, I think Swaagbox is a great subscription for teens, or women who like getting their time of the month supplies delivered right to the door, and drugstore makeup and inexpensive jewelry at the same time. There were quite a few discontinued beauty items in this month's box, so I would advise checking expiration dates on the makeup products before using. I appreciated getting the pieces of candy with it as well, which are nice extras. And getting the whole box of tampons was great to see. I would love it if they offered a variety pack, because that's usually what I buy, but I can understand why they don't offer it. Swaagbox is $16/month, and you can choose your tampon/pad, skin, and style types. You'll receive your box every month, timed to your monthly cycle, and you can cancel anytime. Try your first box for only $5 by clicking here! What did you think of this month's Swaagbox? Let me know in the comments! Disclosure: This post contains affiliate links. I received these products complimentary for review purposes. This is my honest review.